Come join us next Monday night for the Yes We Can! Jam Out Food Drive! 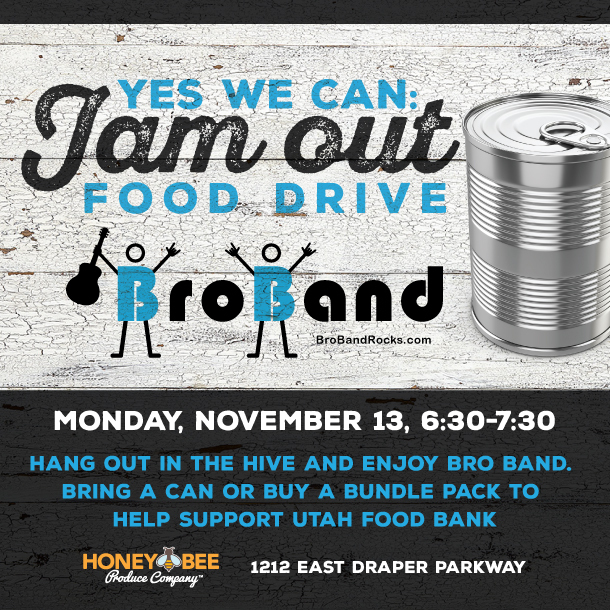 Enjoy some sweet tunes and bring a can of food (or buy a bundle pack) to help support the Utah Food Bank. REGISTER to attend. It’s free!